The radio drum was first developed at Bell Laboratories in the mid 1980s as a three-dimensional mouse, which failed as a computer peripheral and instead became a musical instrument. A kind of �virtual instrument,� it is a descendant of the theremin, the amazing musical instrument invented in 1917 that generates sound in response to hand movements in free space within an electromagnetic field. The radio drum works on a similar principle: the drum itself does not produce any sound. 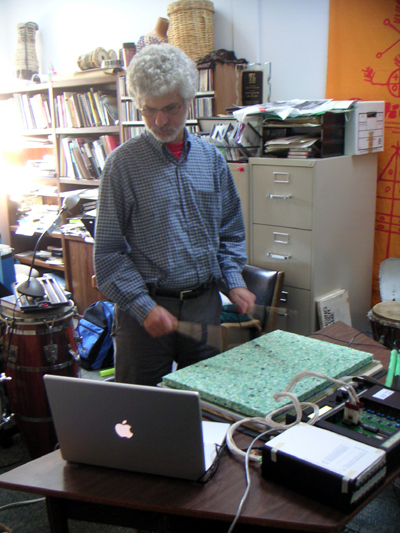 As a gesture sensor, like the theremin, it detects the performer�s movements to trigger and control sound; the performer does not have to physically touch any surface to create a sound. 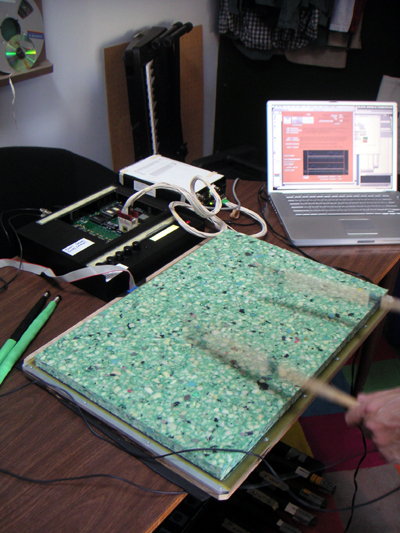 The radio drum consists of two parts: a rectangular surface (drum) with embedded antennae and two transmitters embedded in conventional sticks that use different radio frequencies.The drum surface is covered with a layer of foam to provide a quiet, elastic playing surface and to avoid striking the circuit board. 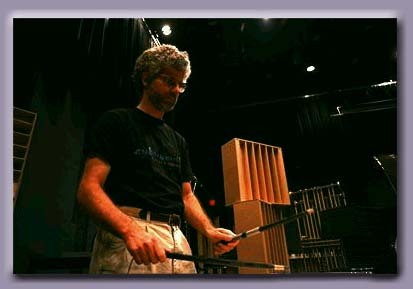 The radio tracking technique depends on the electrical capacitance between the radio transmission antenna in the end of each stick and the array of receiving antennas in the drum. 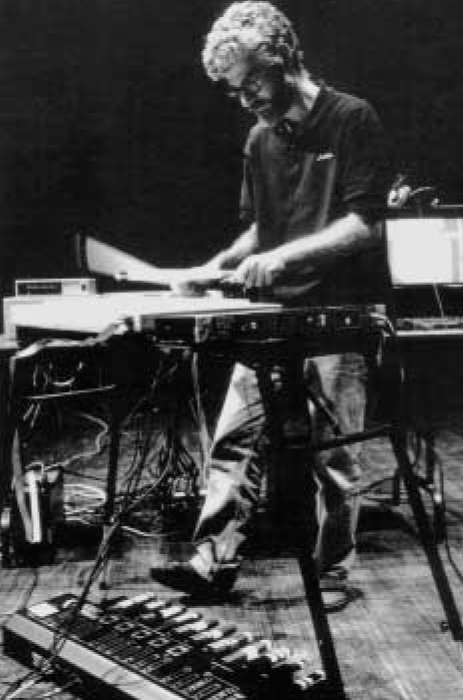 The drum generates six separate analog signals that represent the x, y, z position of each stick versus time t. A key attribute of the radio drum is the multidimensional nature of the gestural signal. 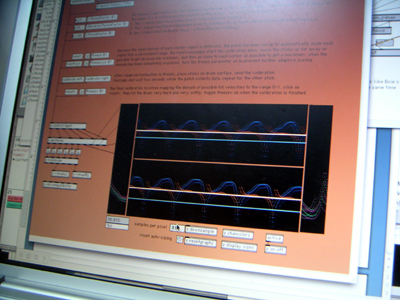 This is in contrast with unidimensional controllers such as keyboards, which have velocity sensitivity only. Performed Live at the Banff Centre. 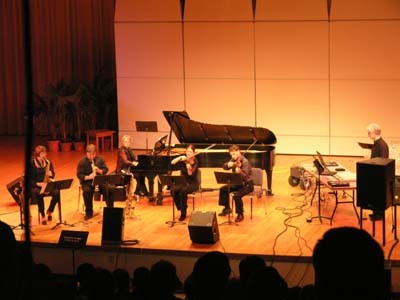 Performed Live at International Computer Music Conference, Miami, Florida, November 2004.